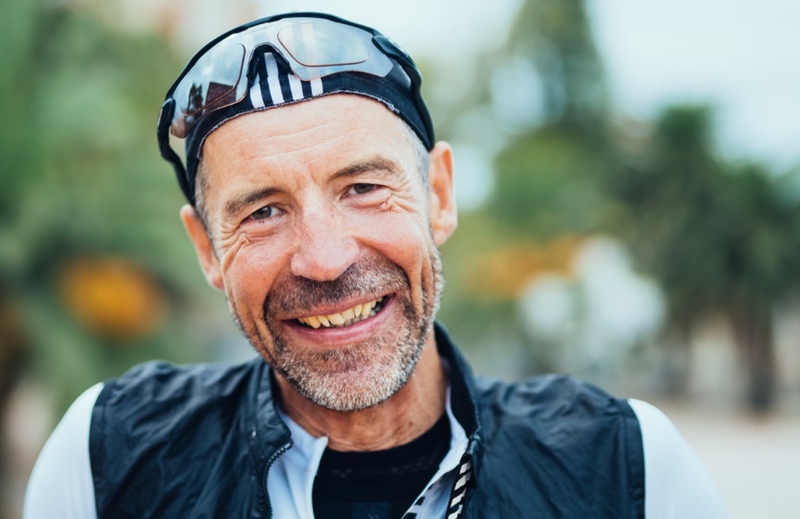 Phil Deeker, talisman and founder of the Cent Cols Challenge who in 2017 celebrated his 60th birthday by completing his Ride of a Thousand Cols - reflects on the what keeps bringing him back to the mountains. We do not come to conquer mountains, we come to meet them. They will always be greater than us. There will always be another one to climb. We often give animalistic adjectives to climbs in order to ‘honour’ them; beast, brutal, savage. Those who ‘conquer’ them are praised as being ‘animals’ or ‘machines’. I can’t relate to any of this. I neither seek to smash a climb nor trash myself. Quite the contrary: I seek to reach the top feeling that I have ridden well, feel strong and can look forward to the next one. However I’ve stopped counting cols, kilometres, average speed or vertical metres. I focus on forgetting myself: absorbing myself in the smells, the light, the views, and my own sensations. It’s all part of an incessant dialogue between myself and my surroundings. I’m a romantic, albeit a very stubborn one. I’m in love with the beauty of the climb and the places that it takes us. I always cite Mont Ventoux as my ‘top’ climb because it gives the perfect opportunity to experience the succession of thresholds that every climb presents; the change in vegetation, the change in the road (both gradient and design) and the change in one’s mind all work together in unison. From the earthly vineyards at the bottom, where the shape of the grape or the weeds competing with the vines will catch your eye, to the slate-covered slopes around the red & white observatory mast, pointing you to the heavens. I have never been colder, hotter, lifted off my bike by the wind as far, seen a dawn so magical, seen the weather change so quickly or heard thunder as loud as I have on the Bald Mountain. Never has an ascent not felt like a unique experience. I must have climbed Ventoux somewhere between 50 and 60 times. And I look forward to the next time. The fact that it is one of the most visited mountains by cyclists illustrates how this is not about some exclusive, mystical, secretive process. Everyone can experience this, no matter if you have reached the summit in two hours or five. But of course the more you do it, the more you learn and the more you become receptive to what the mountain can give you. My earliest memories of ‘coached sport’ are from when I was learning how to run the 80m hurdles. The feeling of flow, efficiency, harmony and control that came from managing to get legs, arms, back, and neck to work together with my breathing was a revelation. It is a complicated task but I can remember how good I felt when I got it. How alive I felt. How everything seemed to make sense, without knowing or questioning why. Every time I ride my bike I aim to work myself back into that state. It usually takes well over 100 kilometres. But the mountains make this almost easy. I am hardly ‘zen’ on my bike: this type of meditation involves sweat, tears and sometimes blood. Yet I need this physical intensity to lock myself into the present moment and feel free. Moments of liberating happiness only occur when one is locked into the present moment. Digging deep into one’s own reserves helps us to do that. I see it in other riders: the more they ride in the mountains, the more they smile, the more they enjoy riding with others and helping their fellow riders. They observe more. Their modesty becomes more apparent. They don’t wear any medals. They can tell stories galore, but not about themselves. They know they will suffer. That’s what liberates them. That’s what feeds them. They know they will take roads few others would take. They know the crazy guy who has provided the lines to follow has ridden them too, and that he still keeps coming back to show them to more riders. They know they will often love him and often hate him. But they know that they will forgive him too. These events will go on sale in July 2019.